Rhin-O-Tuff, manufacturer of paper punch and spiral binding machines introduced the ONYX series last month at the Graphics Of Americas (GOA) tradeshow. The 3-year warranty on coil binding equipment impressed many Latin American attendees. BOISE, ID – A record number of Latin American attendees at this year’s Graphics of the Americas held in Orlando, Florida February 20-23 stopped by the Rhin-O-Tuff exhibit to see the new ONYX series of industrial binding equipment. The exhibit was manned by company representatives and Marco Castillo Redondo, President of Costa Rican-based MACWIRE (http://www.macwirecr.com), who welcomed the Spanish-speaking attendees. “Marco did an outstanding job supporting us, and was invaluable in communicating his first-hand experience with the Rhin-O-Tuff line. 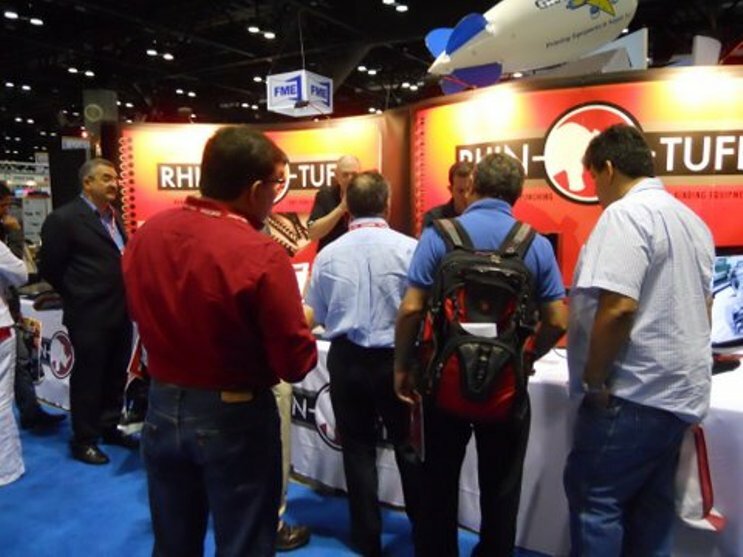 Since almost 80 percent of our visitors were from South America, Central America, Mexico and the Caribbean Islands, it was helpful to have Marco assist in communicating the features and benefits of our products to them in their native tongue,” said John Lugviel Vice President of Business Development for Rhin-O-Tuff (http://www.rhin-o-tuff.com/). 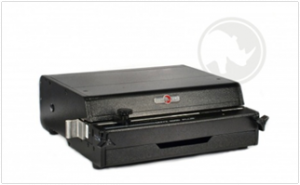 The ONYX Series of comb, wire, spiral binding machines and hole punch machines have introduced several unique and state-of-the art features that set them apart from other competitors’ equipment. The line has been quietized and features interchangeable die technology that adds unparalleled versatility and value. 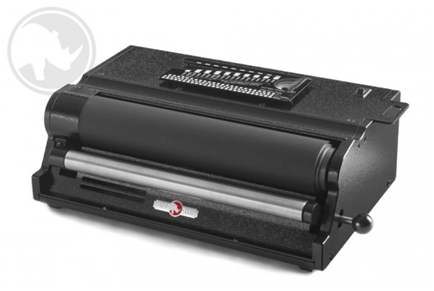 The line of binding systems is also backed by an unprecedented full 3-year warranty. “I’ve sold many different manufacturers’ products and can say without hesitation that Rhin-O-Tuff’s products are the most reliable in the industry, on a worldwide scale. The Latin American market has been migrating over the past couple years from low-end unreliable binding equipment made in China to USA-made Rhin-O-Tuff equipment as the word gets around about their reliability and quality through users’ experience with their solutions,” said Castillo Redondo. The ONYX series features automated punch and binding solutions that are far superior to manual punching. 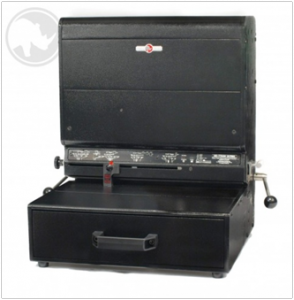 They are designed to eliminate inconsistent, time consuming and inaccurate manual punching. The line ranges from affordable small capacity machines to automated heavy-duty machines that allow large quantities of binding in minimal time. Coil binding equipment like Rhin-O-Tuff’s Onyx HD4170 replaces the tedious and time-consuming job of manually fitting the coil into the punched holes. Its roller automatically moves the coil into place on a book to enable the user to quickly bind large quantities. To see the entire Rhin-O-Tuff line, along with product specifications, instructional videos, leasing information and dealer information, visit the company website.